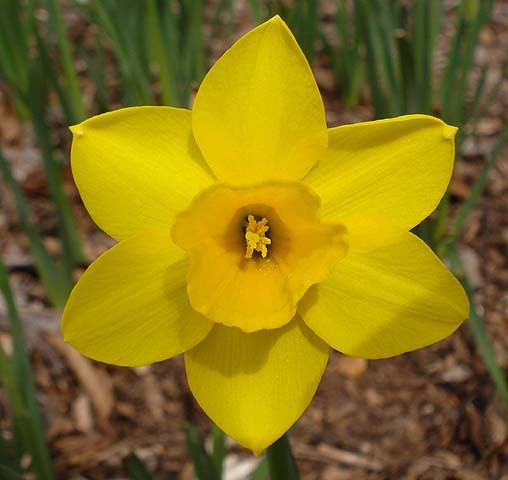 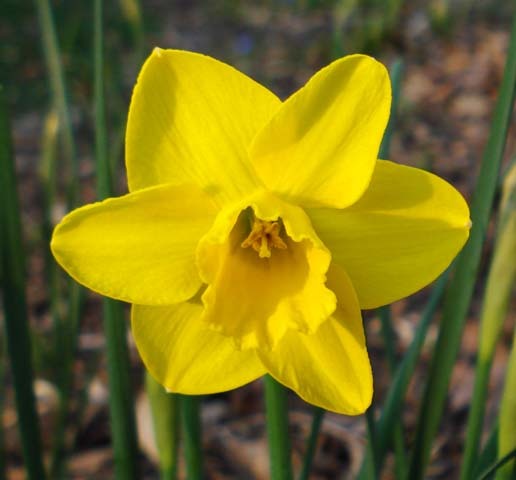 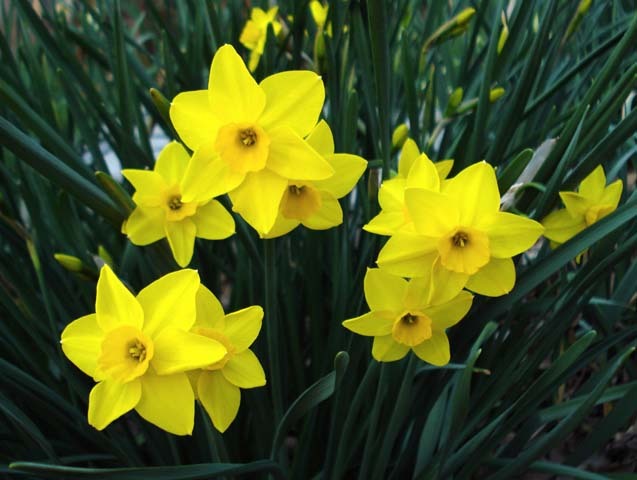 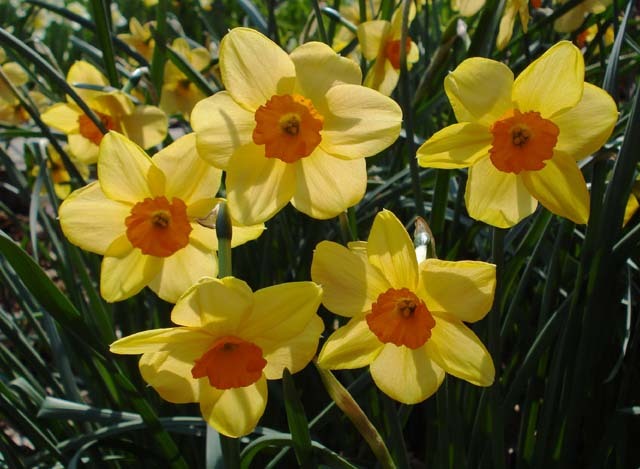 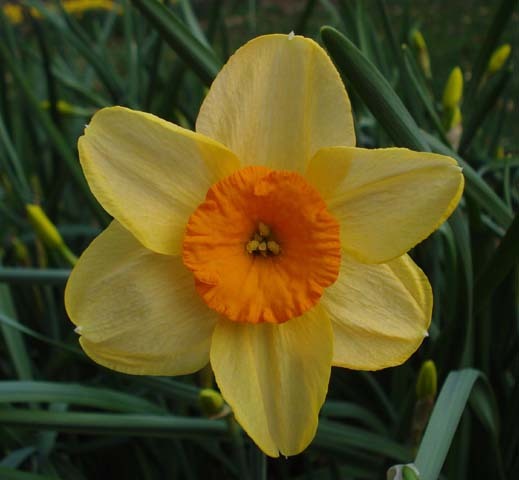 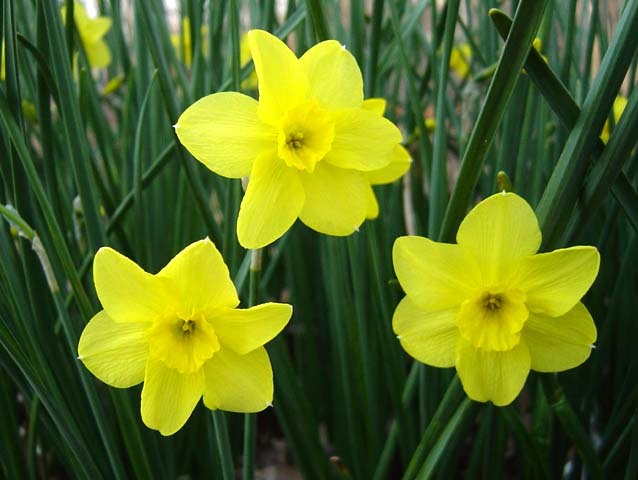 This page contains pictures and information about Narcissus classified under Division 7: Jonquilla Daffodils. 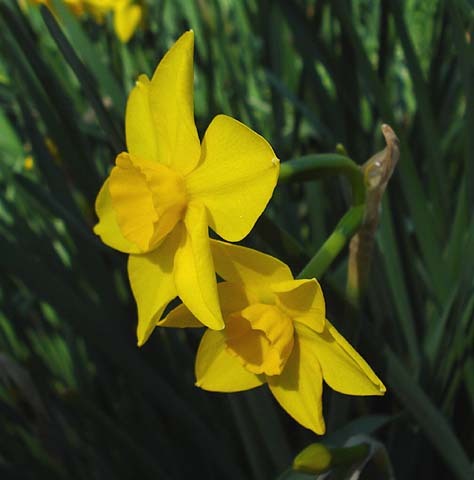 Narcissus in this division have obvious characteristics inherited from Narcissus jonquilla in their ancestry, with narrow, dark green leaves and one to three fragrant flowers to a stem. 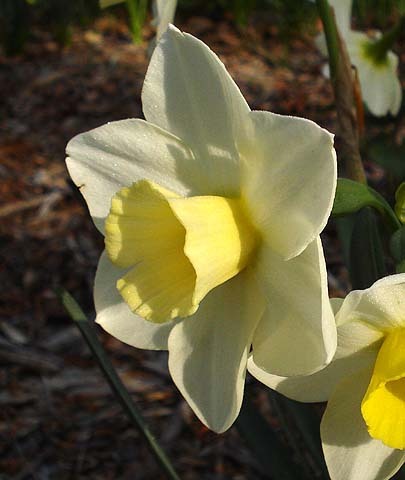 Narcissus 'Bahama Beach' is a mid to late season bloomer with fragrant, light yellow flowers. 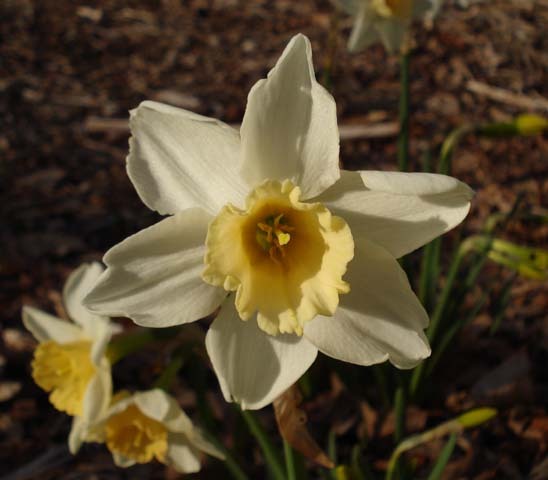 Photos taken April 2007 by Jay Yourch. 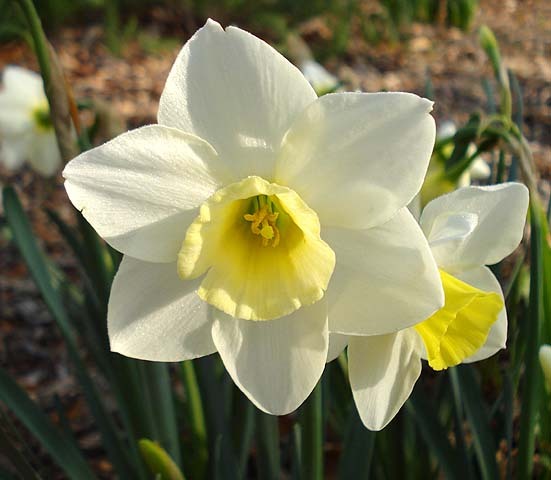 Narcissus 'Derringer' is a fragrant mid-season bloomer with creamy white petals and a deep yellow cup. 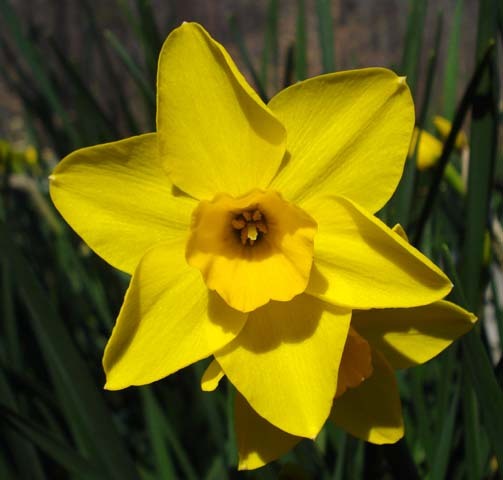 Photos taken March 2007 by Jay Yourch. 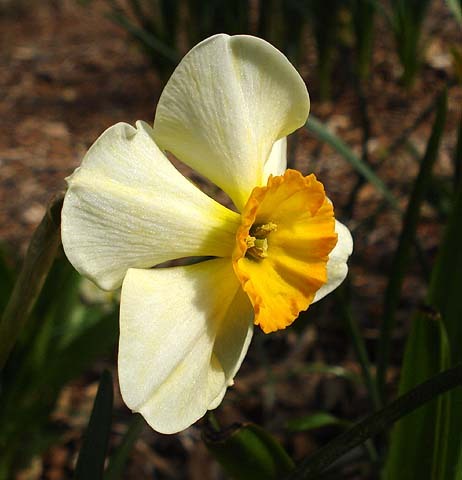 Narcissus 'Fruit Cup' is a fragrant mid to late season bloomer with white petals and a pale yellow cup. 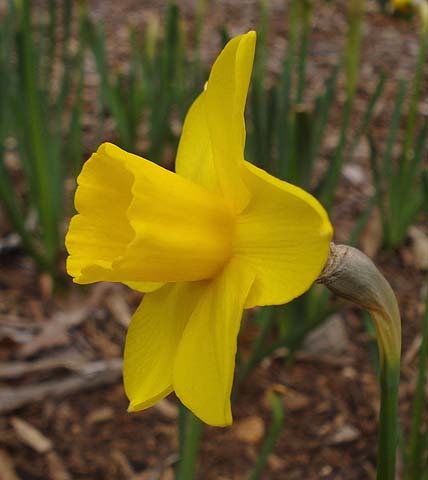 Photo taken April 2007 by Jay Yourch. 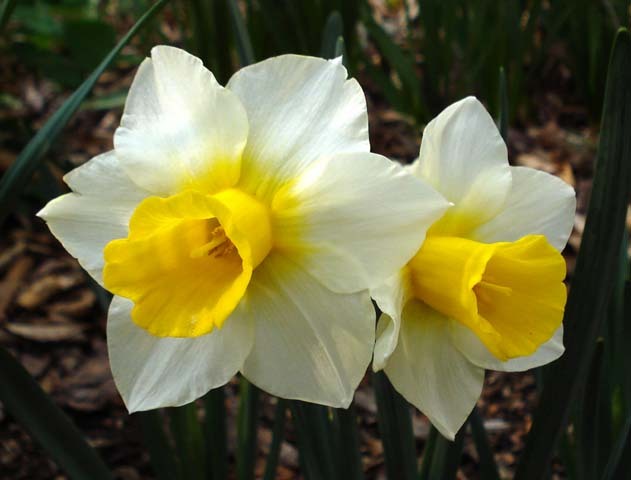 Narcissus 'Golden Echo' is a mid-season bloomer with white petals and a yellow cup whose color bleeds onto the petal bases. 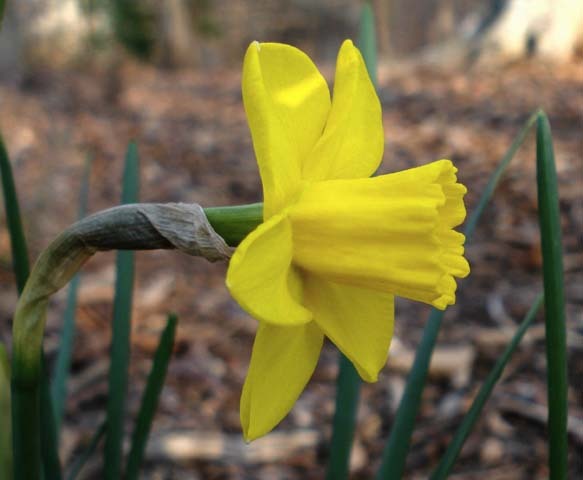 Photos taken March 2007 by Jay Yourch. 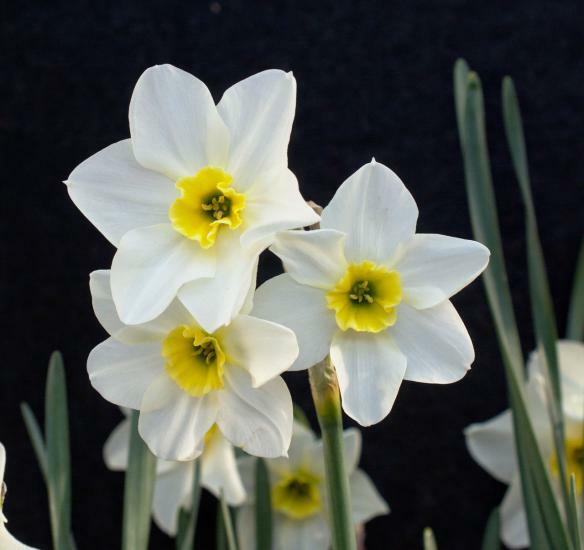 Narcissus 'Hillstar' is a reverse bicolor jonquilla hybrid (sister seedling to Narcissus 'Pipit') with a creamy white cup, yellow petals, and a white halo where the cup meets the petal bases. 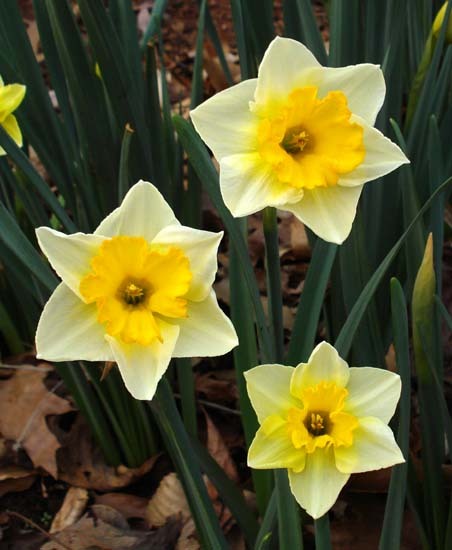 The flowers are all yellow when they first open, the white showing up as they age. 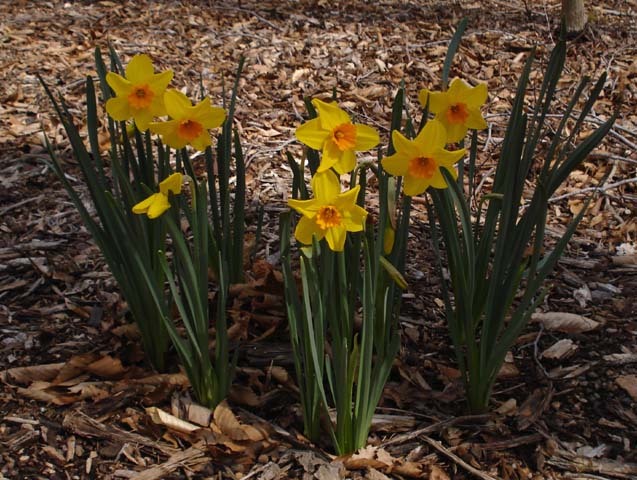 First three photos taken March 2007 by Jay Yourch. 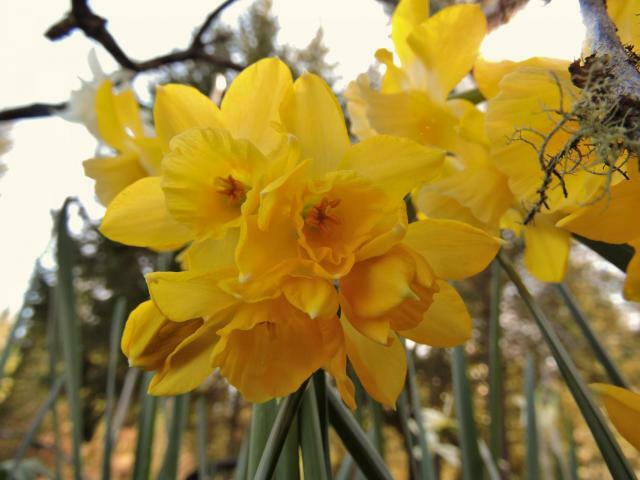 Fourth photo taken by Travis Owen in April of 2015 shows a single scape with five flowers! 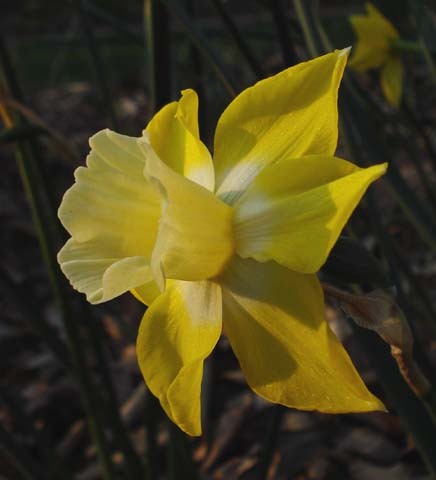 Narcissus 'Kedron' is a jonquilla hybrid with yellow petals and an orange cup. 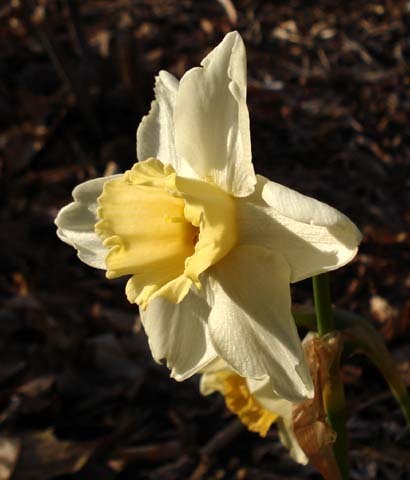 As the flowers age, the orange color from the cup tends to bleed onto the petals. 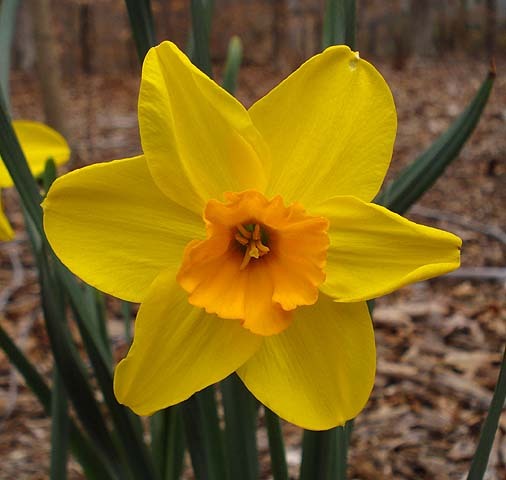 Photos taken March 2007 by Jay Yourch. 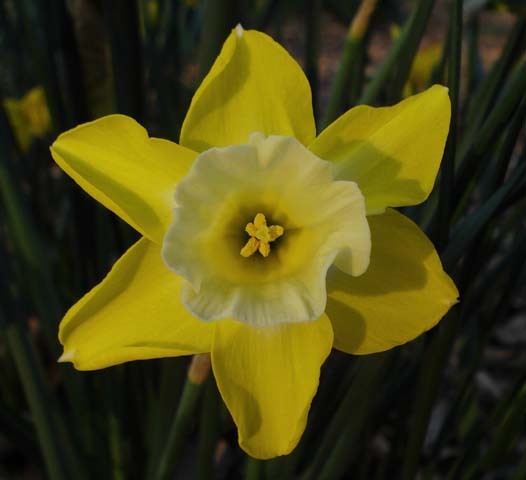 Narcissus 'Kinglet' was bred by Grant Mitsch in the 1950's and is named after a type of bird; it is fragrant with up to three flowers per stem. 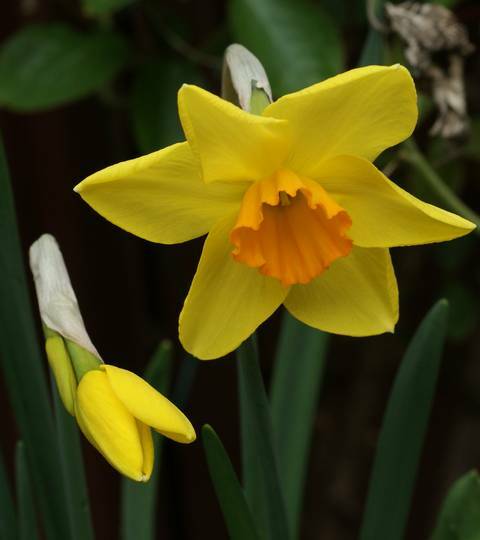 Photographed by David Pilling. 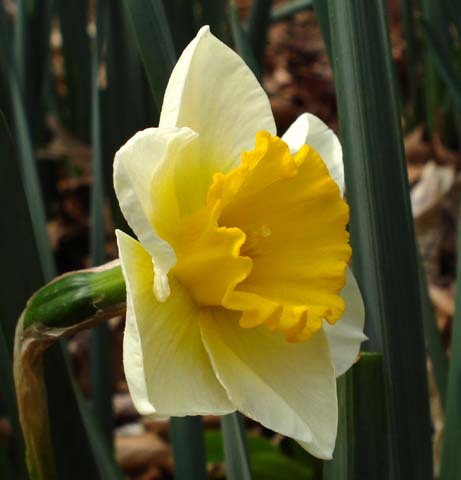 Narcissus 'La Belle' is a small, mid to late season bloomer with pale yellow petals and an orange cup. 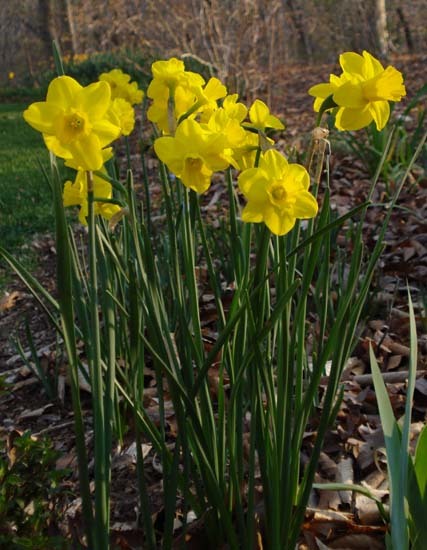 Photos taken April 2008 by Jay Yourch. 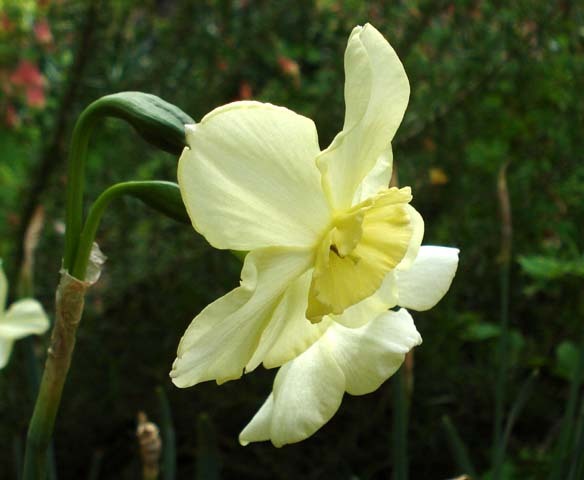 Narcissus 'Lieke' was hybridized by Brent and Becky Heath and named after the daughter of Gerrit Preijde; introduced in 2009, it is fragrant with three flowers per stem. 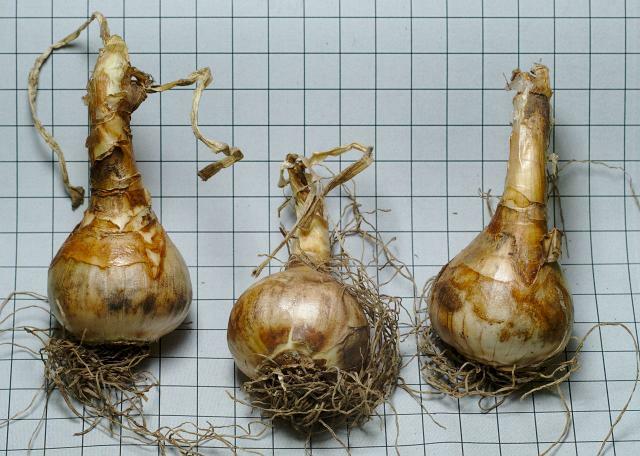 Photographs by David Pilling show bulbs on a 10 mm grid and flowers mid April; the pot in photo 3 is 8 inches in diameter. 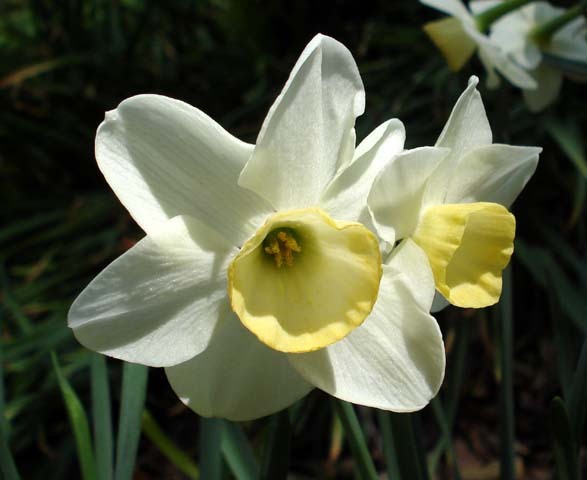 Narcissus 'O'Bodkin' is a mid-season bloomer with white petals and a pale yellow cup. 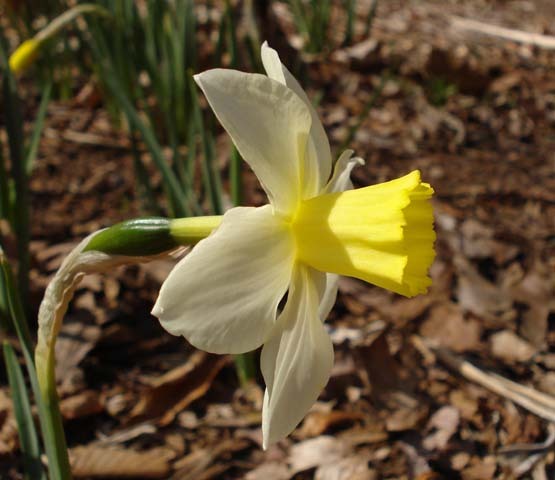 Photos taken April 2008 by Jay Yourch. 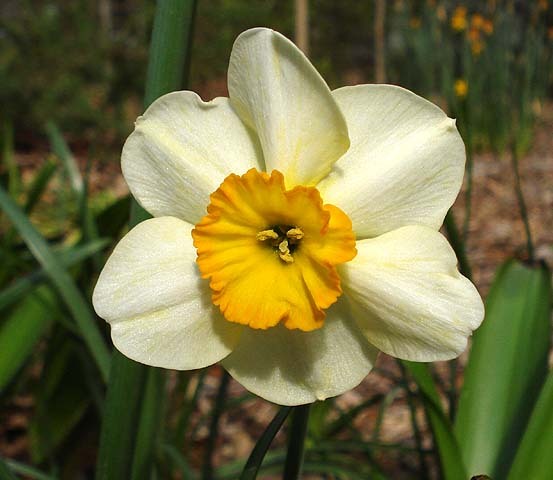 Narcissus 'Pappy George' blooms in mid-season with fragrant, deep yellow, orange cupped flowers. 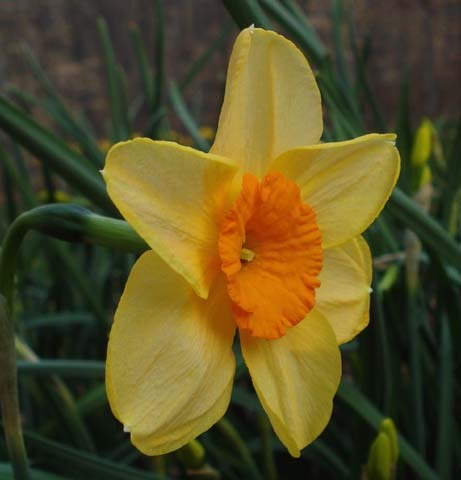 Photos taken March 2008 by Jay Yourch. 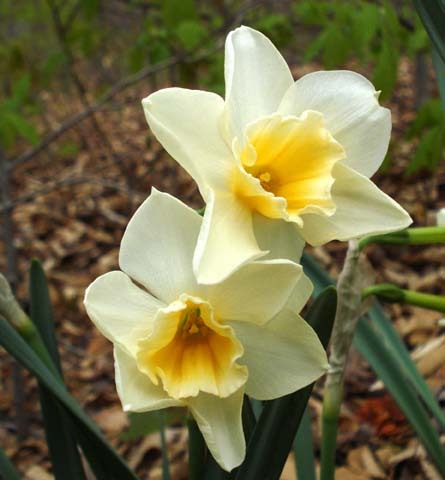 Narcissus 'Pueblo' is a fragrant mid-season bloomer with white petals and a pale yellow cup. 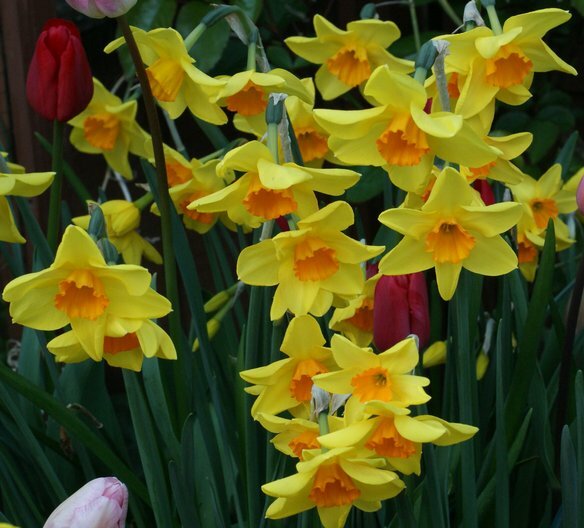 Photos taken March 2008 by Jay Yourch. 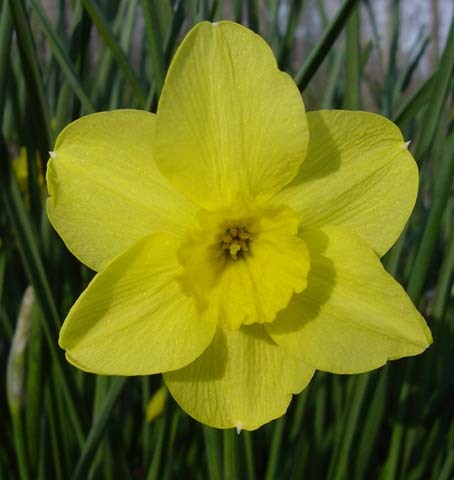 Narcissus 'Quail' is a jonquilla hybrid with bronzy yellow flowers. 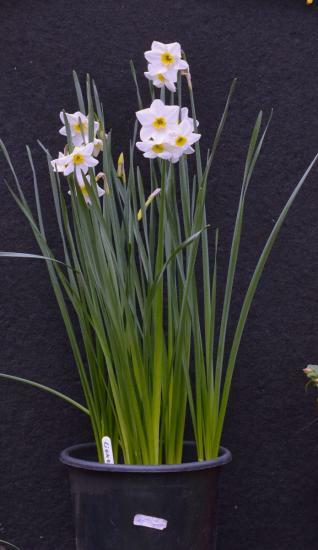 Unlike many jonquilla hybrids, its scapes are taller than its foliage. 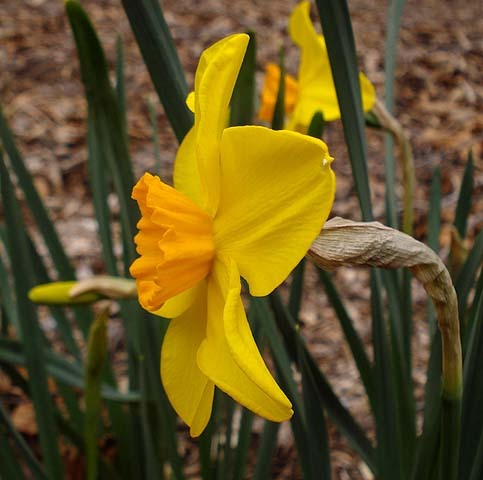 Photos taken March 2007 by Jay Yourch. 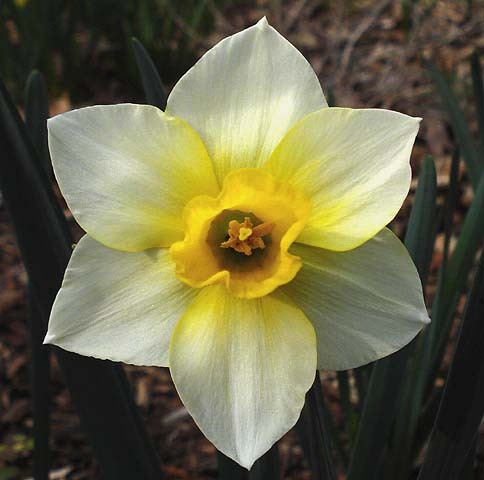 Narcissus 'Silver Smiles' is a mid-season bloomer with white petals and a pale yellow cup. 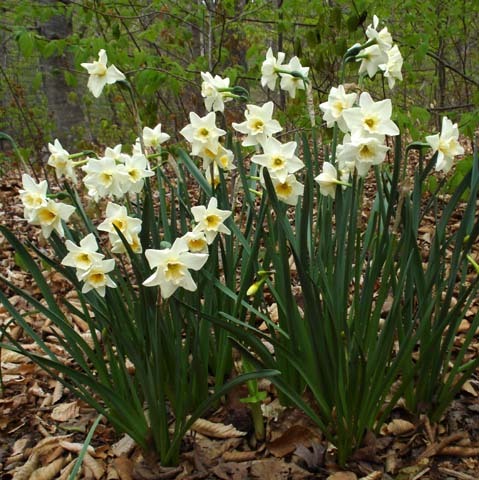 Photos taken April 2008 by Jay Yourch. 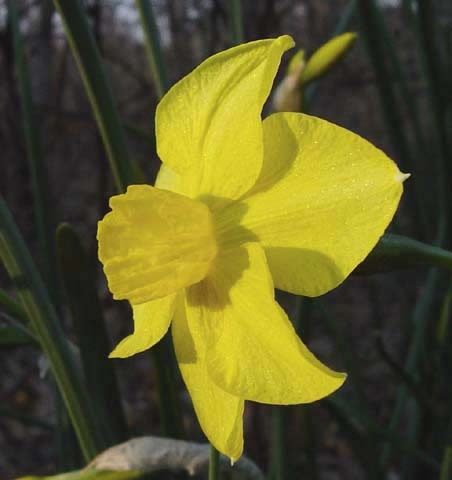 Narcissus 'Stratosphere' is a late bloomer with deep yellow flowers on very tall scapes. 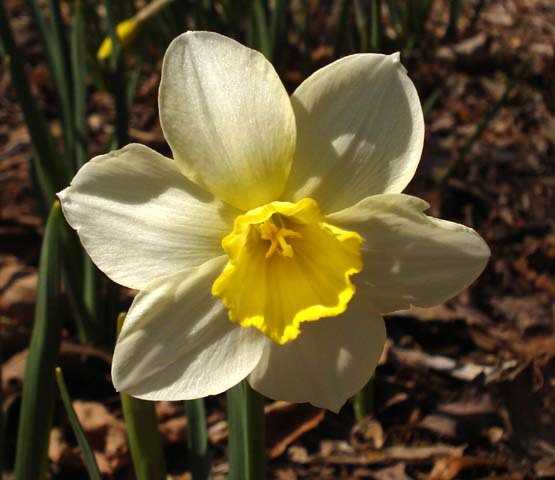 Photos taken March 2007 by Jay Yourch. 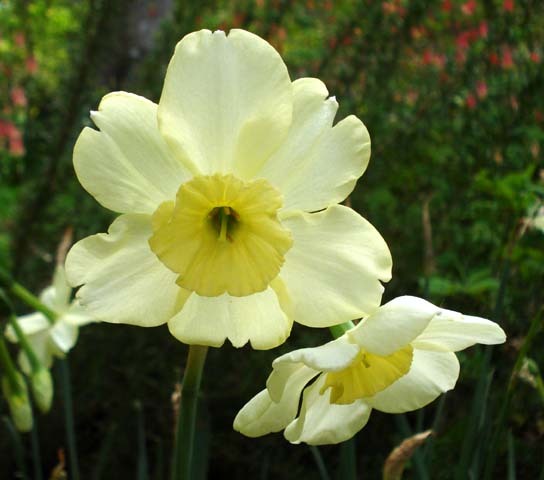 Narcissus 'Sweet Love' is a fragrant mid-season bloomer with white petals and a yellow cup. 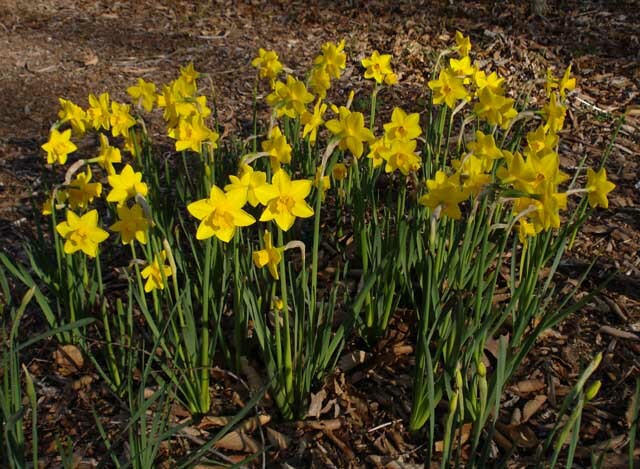 Photos taken April 2007 by Jay Yourch. 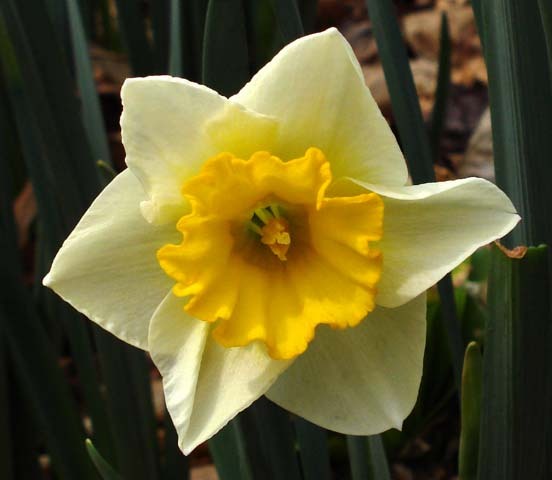 Narcissus 'Sweetness' is a mid-season bloomer with fragrant, yellow flowers. 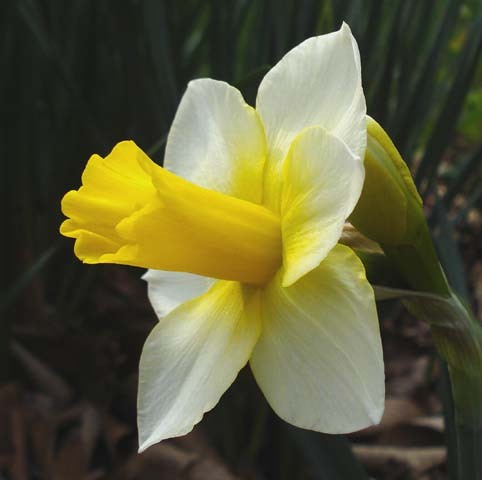 Photos taken March 2008 by Jay Yourch. 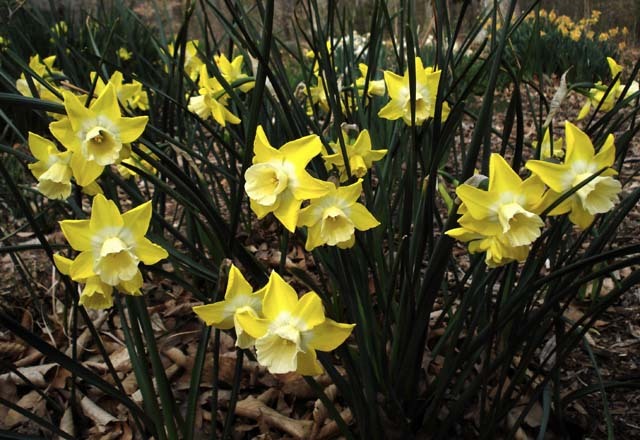 Narcissus 'Trevithian' is a fragrant, early blooming, deep yellow jonquilla hybrid. 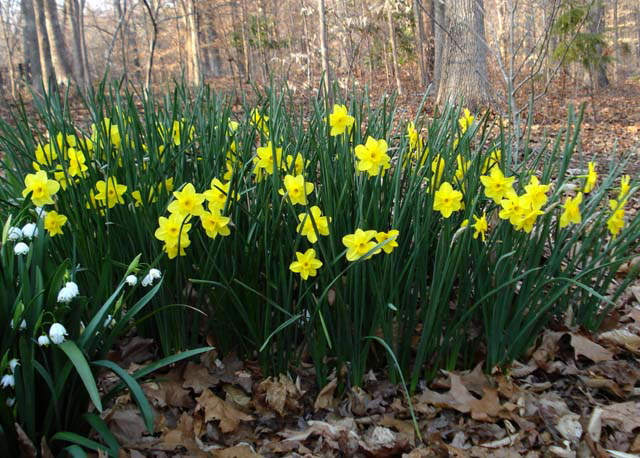 Photos taken March 2007 by Jay Yourch.